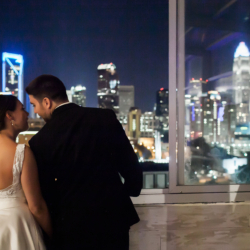 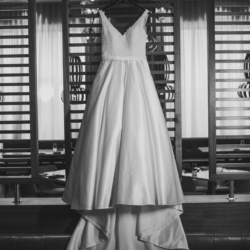 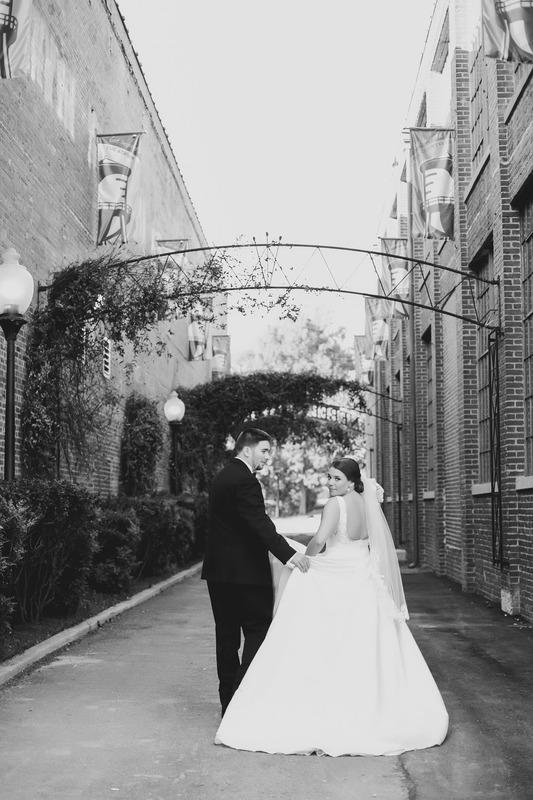 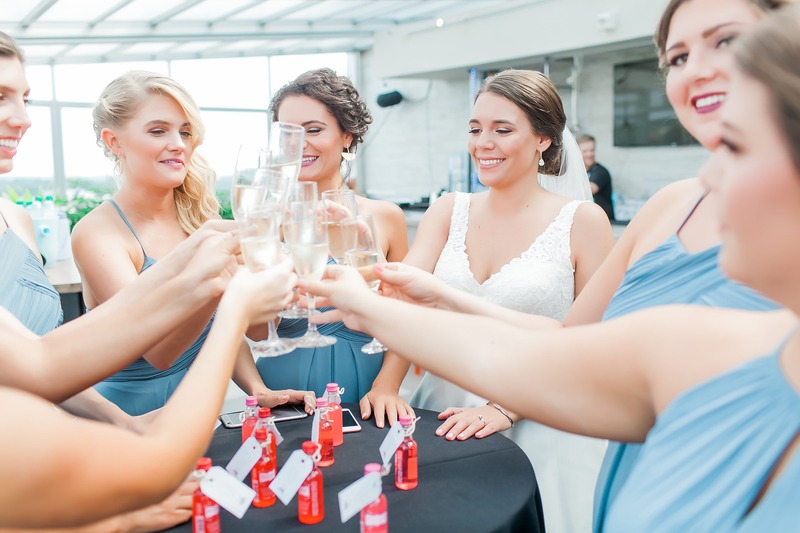 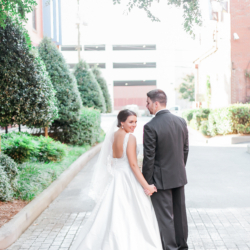 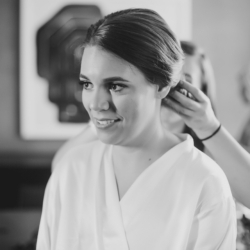 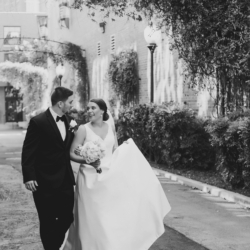 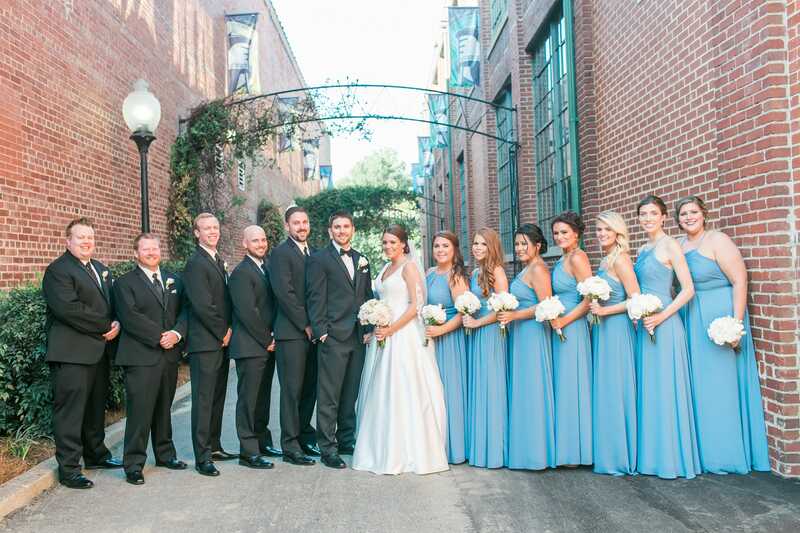 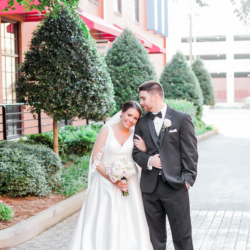 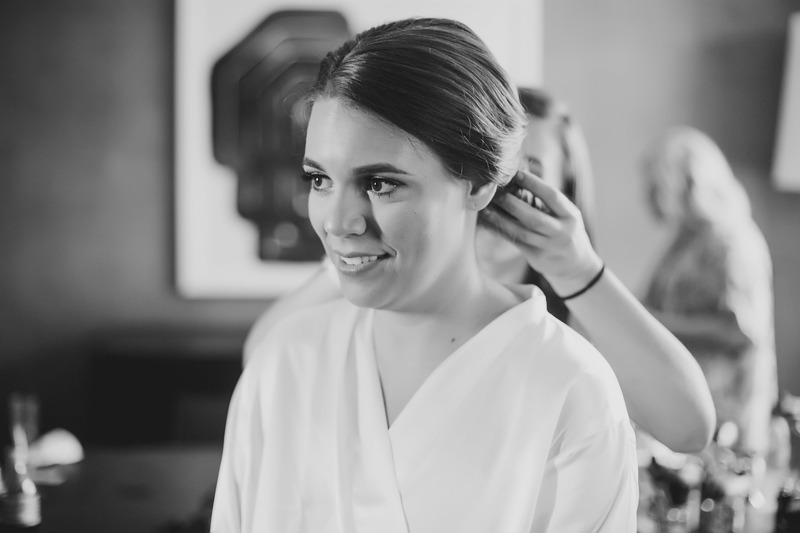 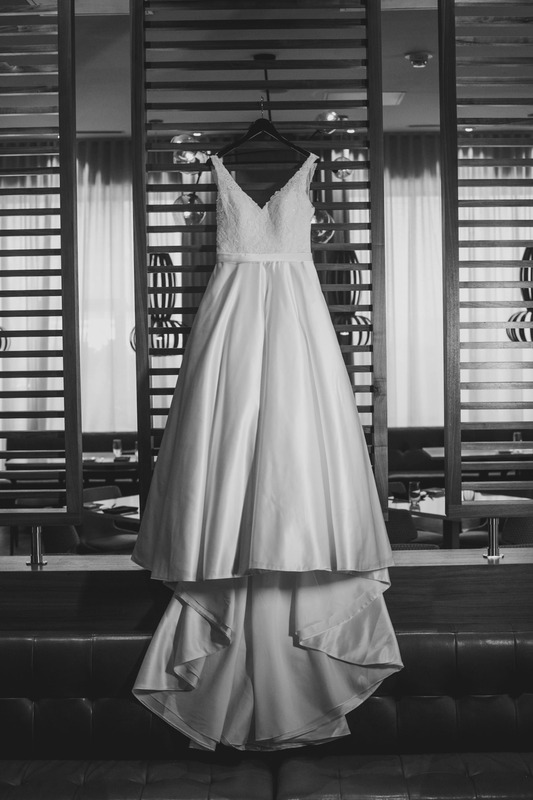 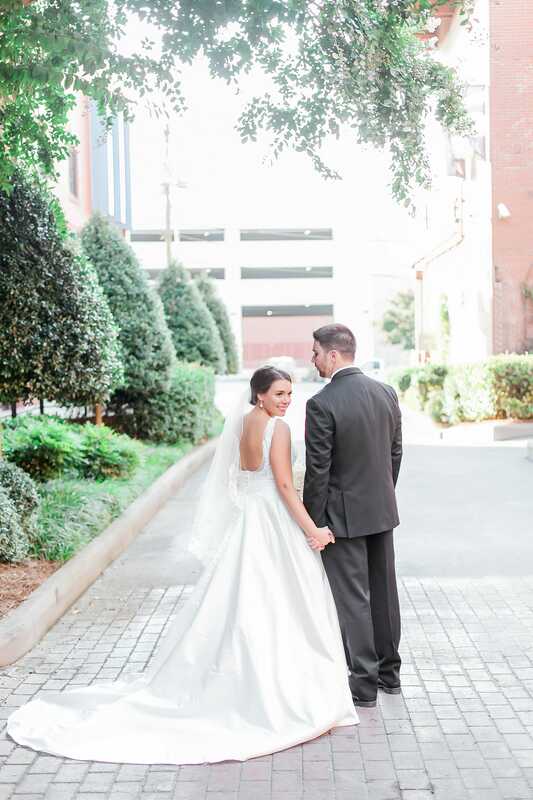 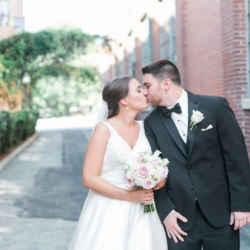 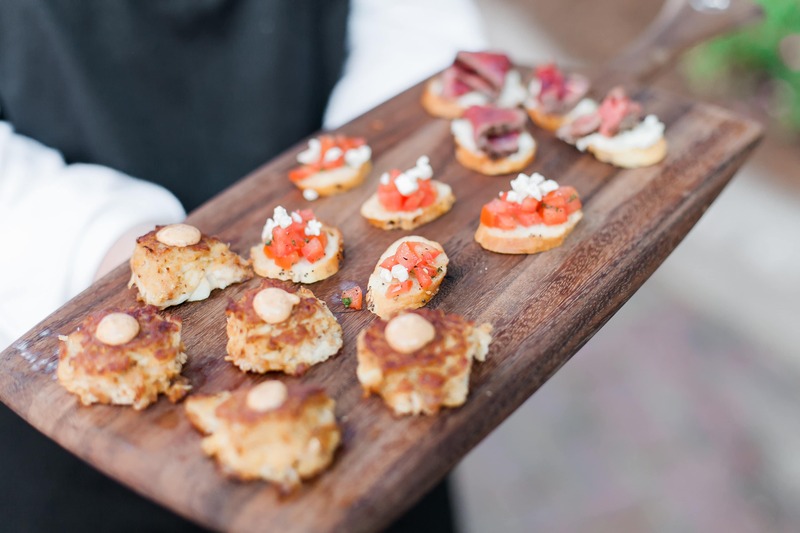 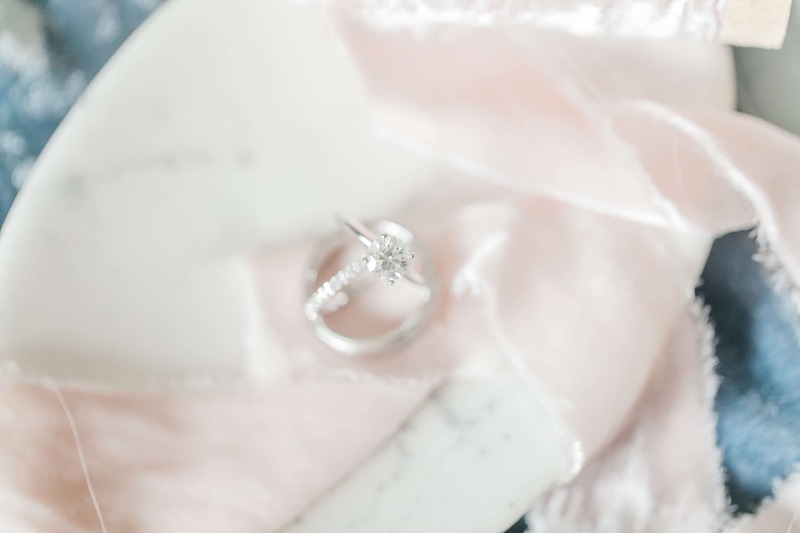 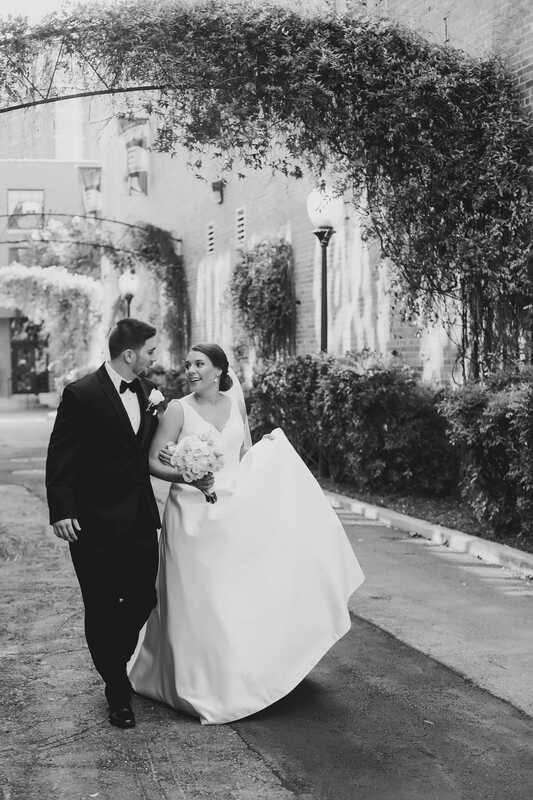 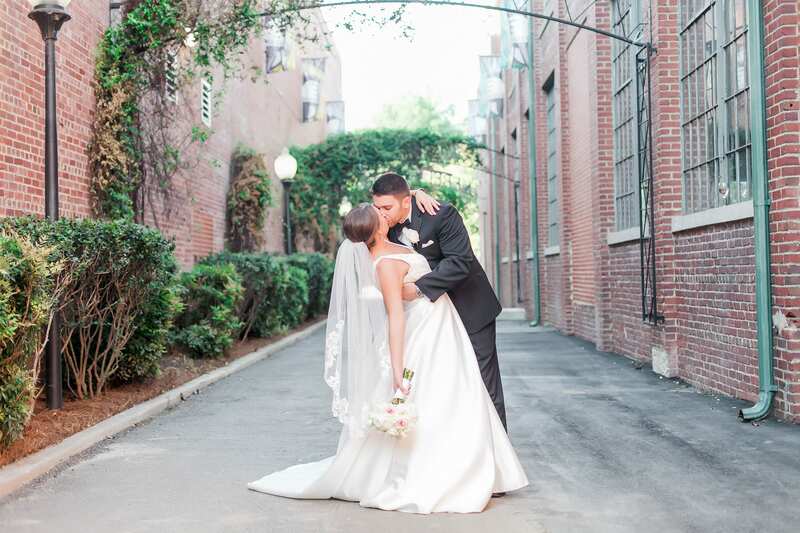 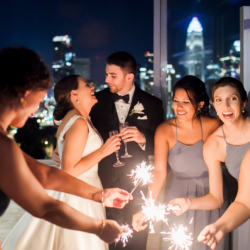 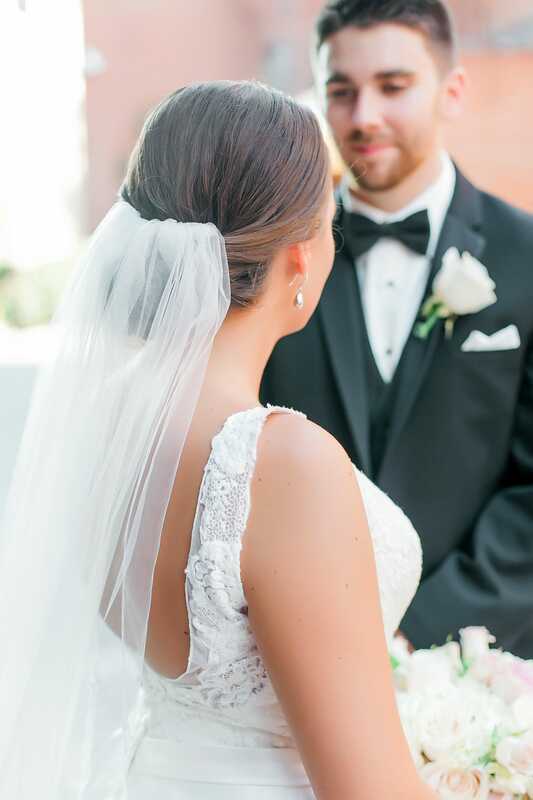 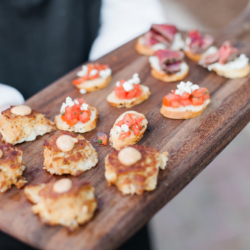 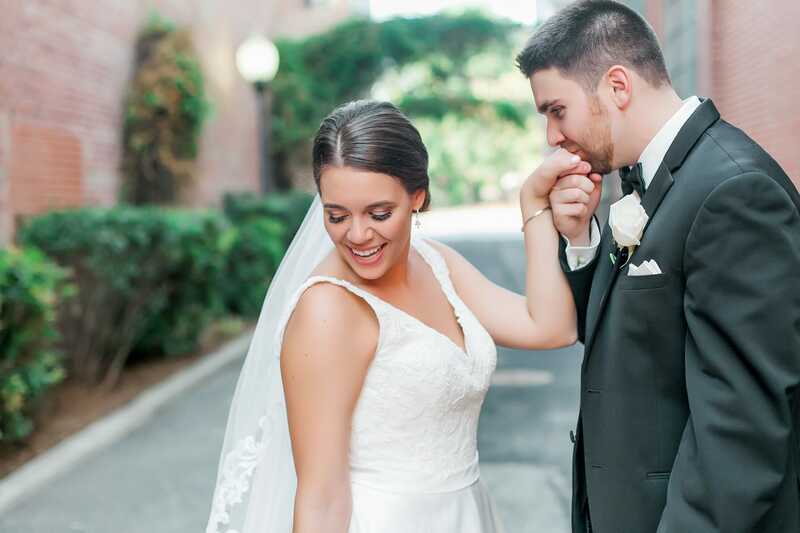 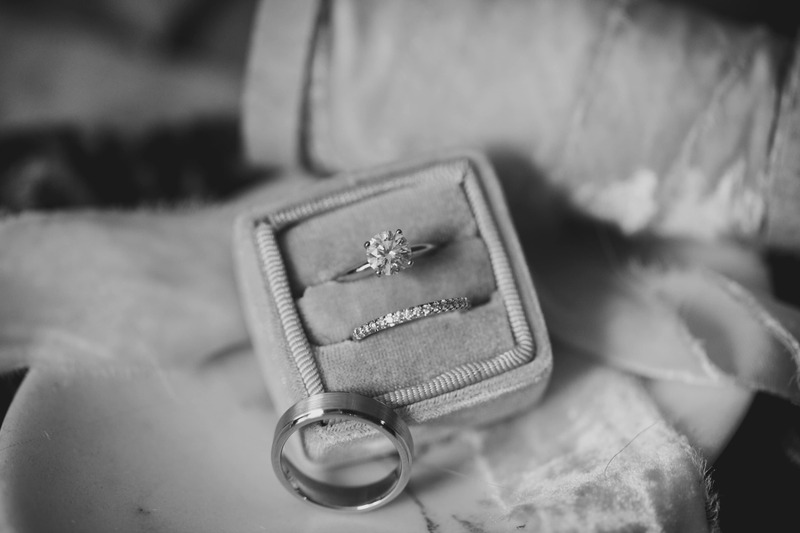 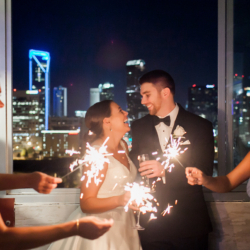 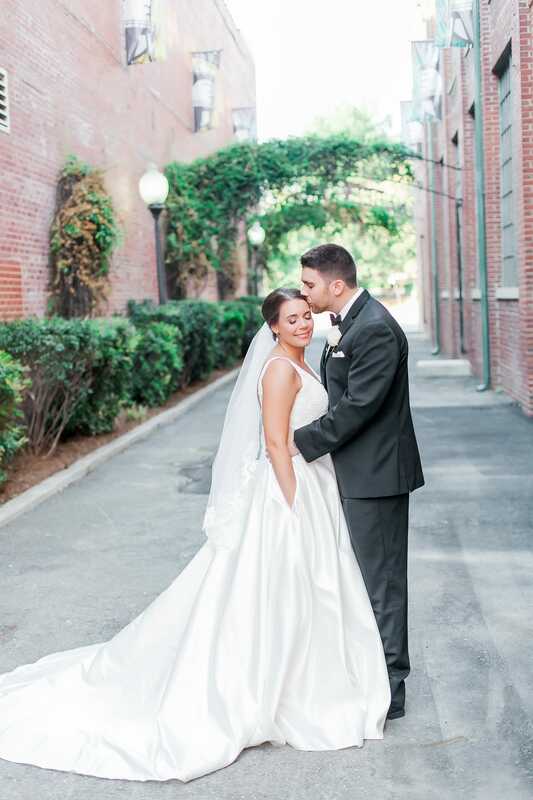 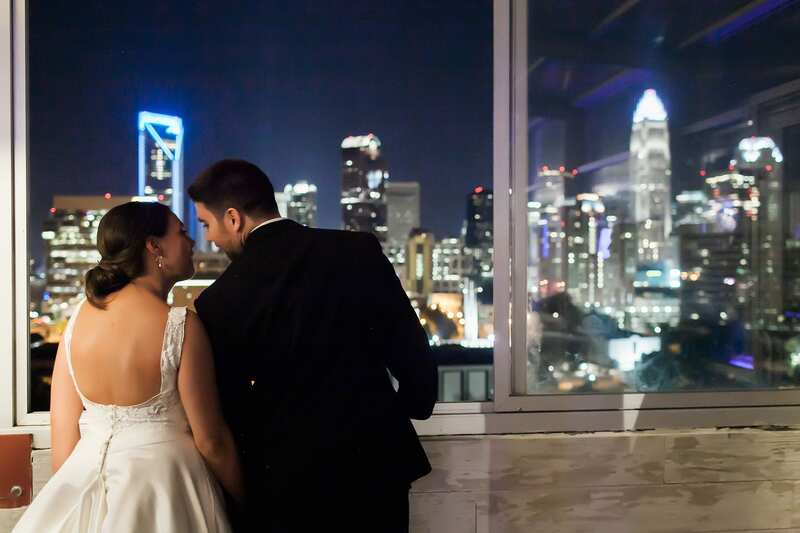 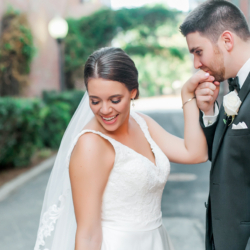 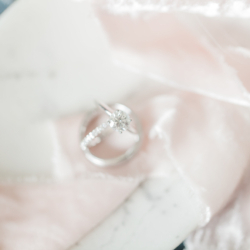 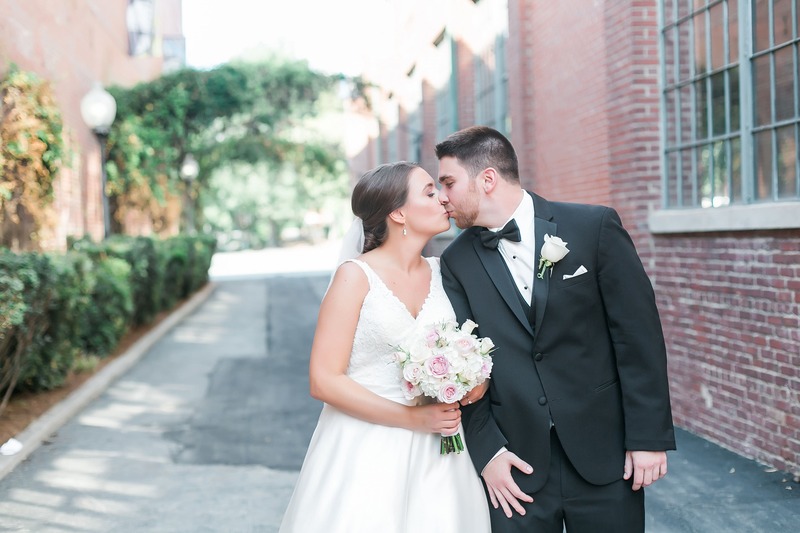 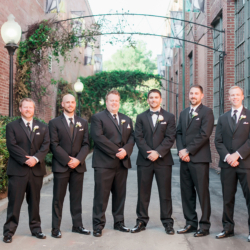 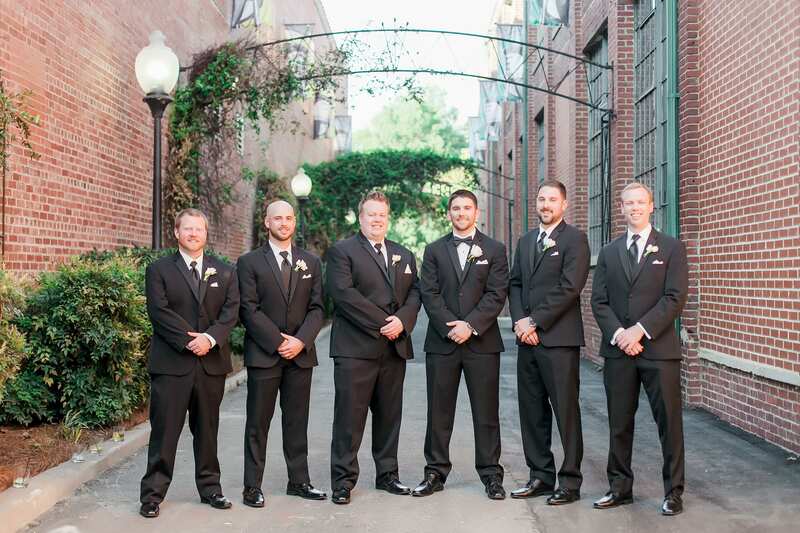 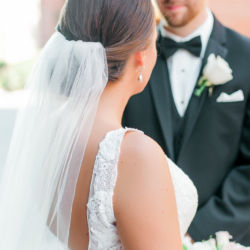 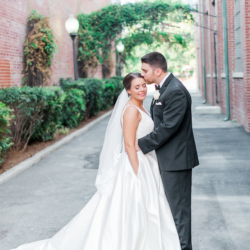 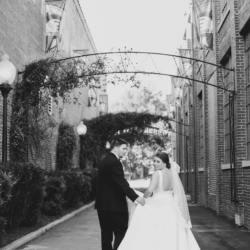 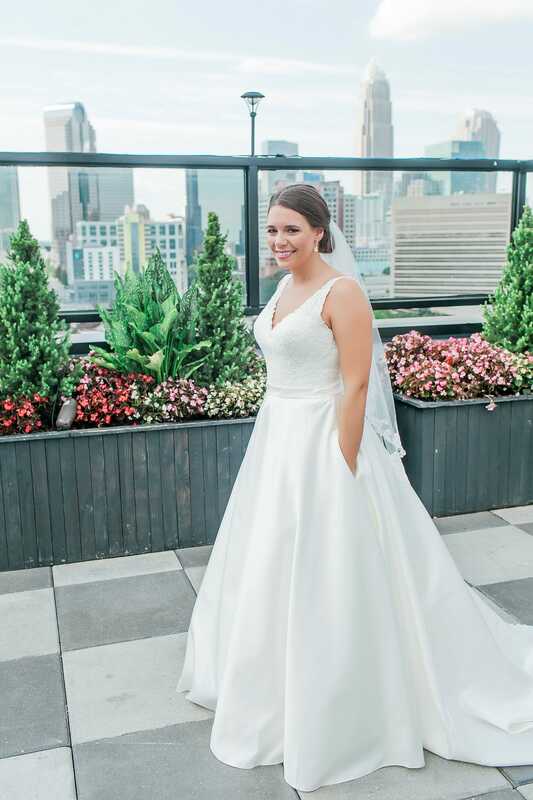 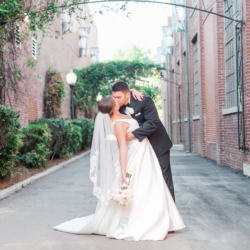 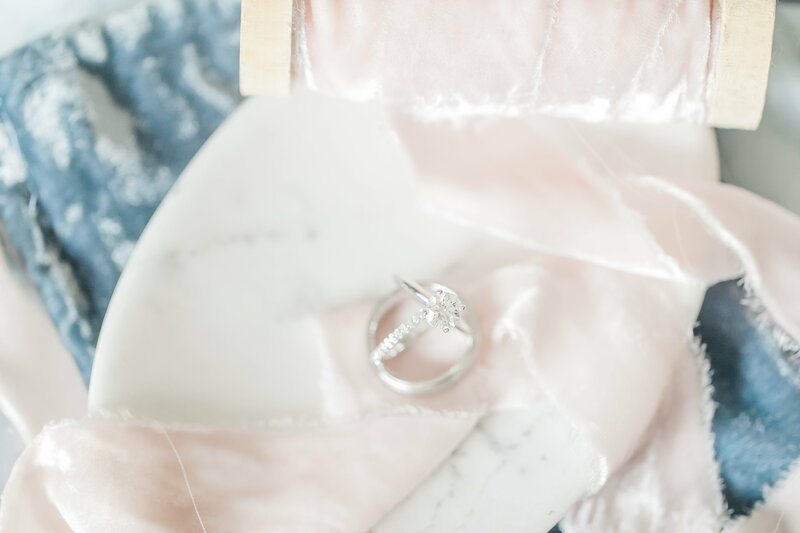 Emily and Zack decided Byron’s South End was the perfect place for their wedding, and it did not disappoint! 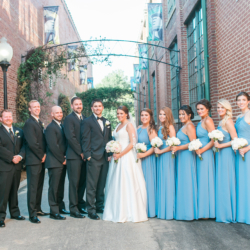 The gorgeous ceremony backdrop with all of their friends and family started the day off right. 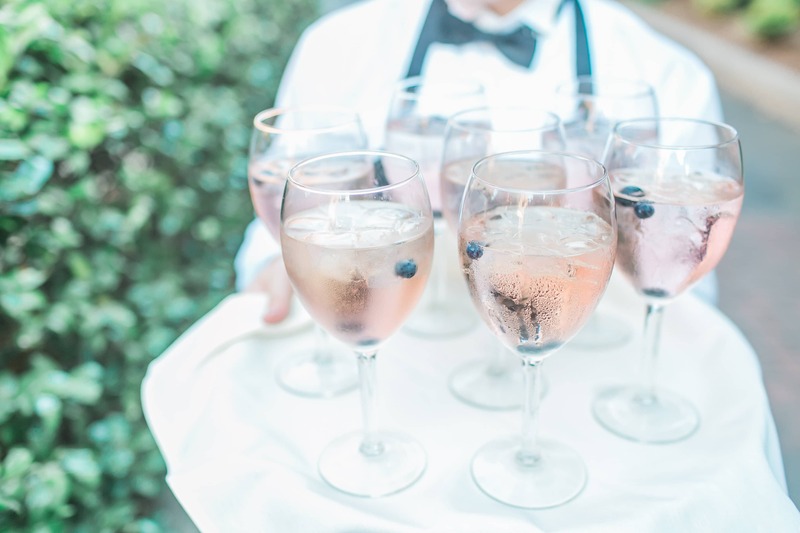 Cocktail hour was followed with access to the courtyard and inside (because August in North Carolina is HOT) and the reception space was gorgeous. 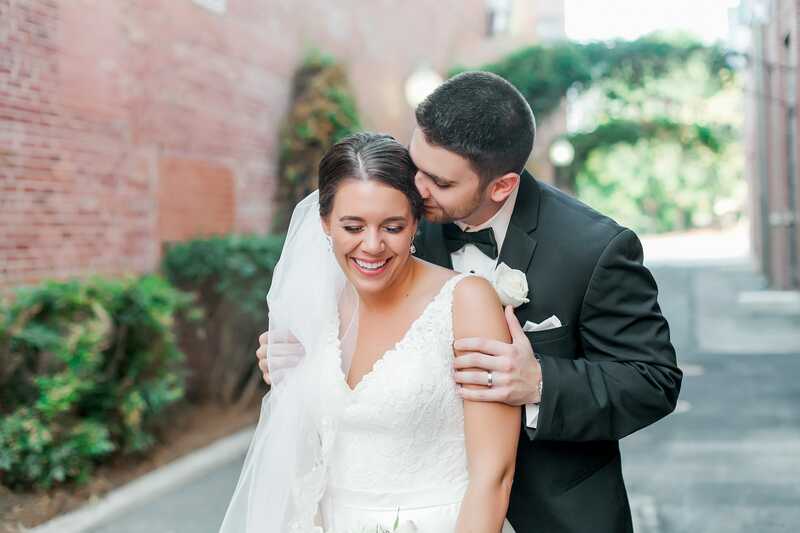 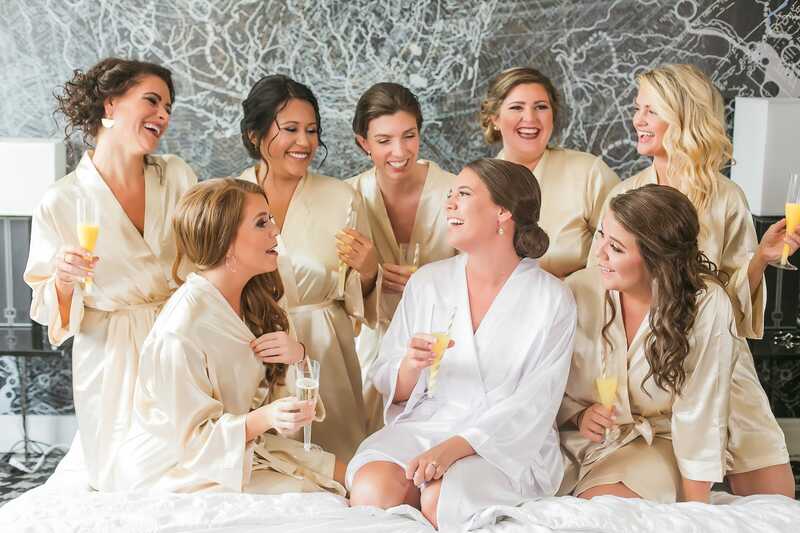 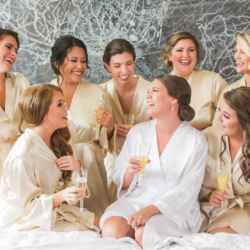 Emily wanted neutral ivory and blush pink accents to accompany the gold metallic throughout her simple and classic wedding. 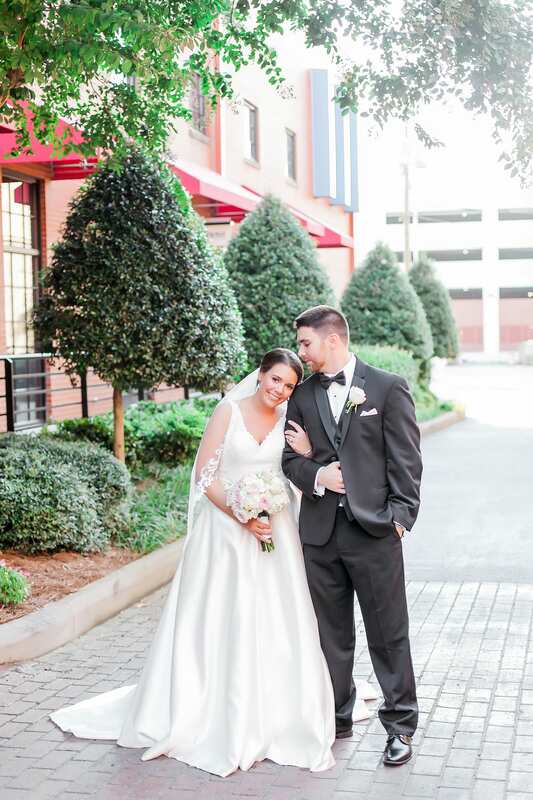 Best Impressions had a great selection of linens for Emily to choose from and they looked so great together. 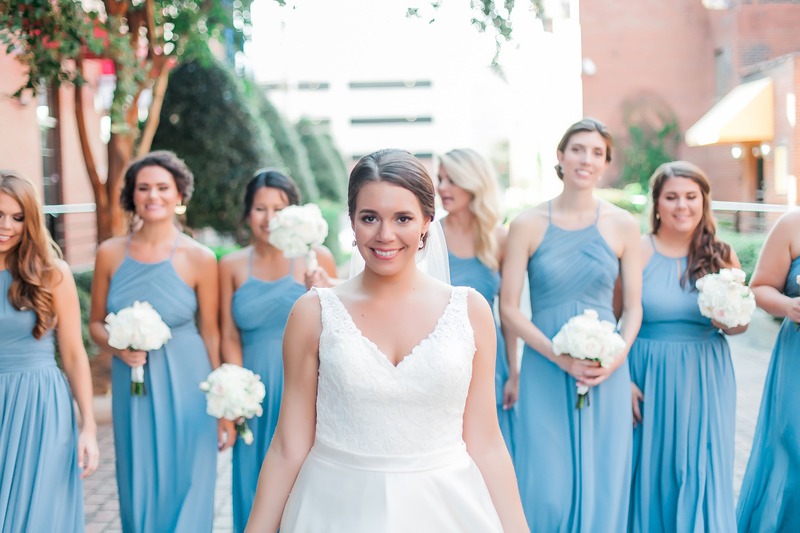 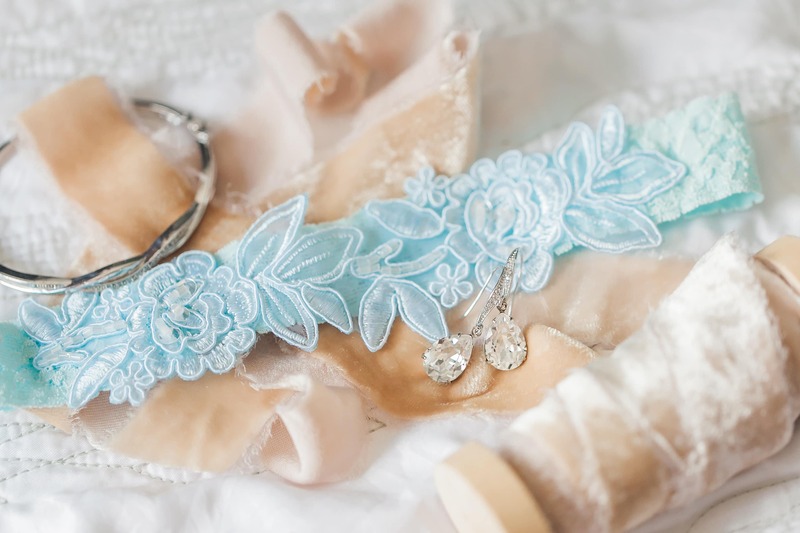 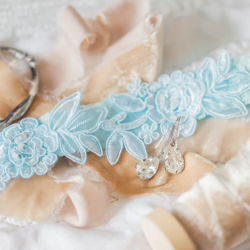 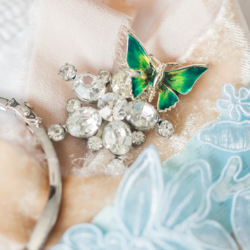 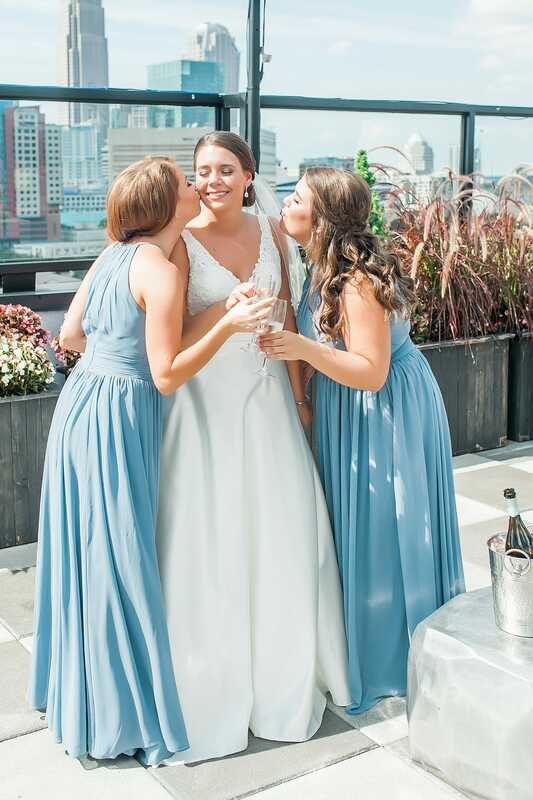 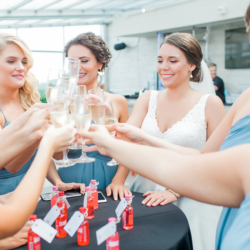 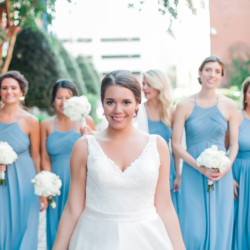 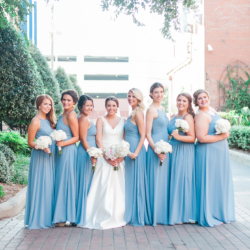 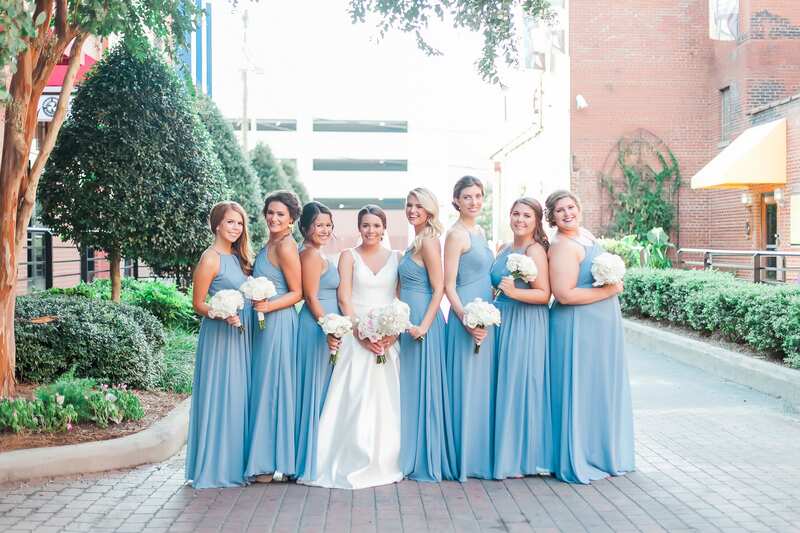 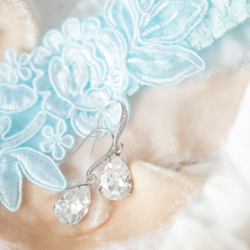 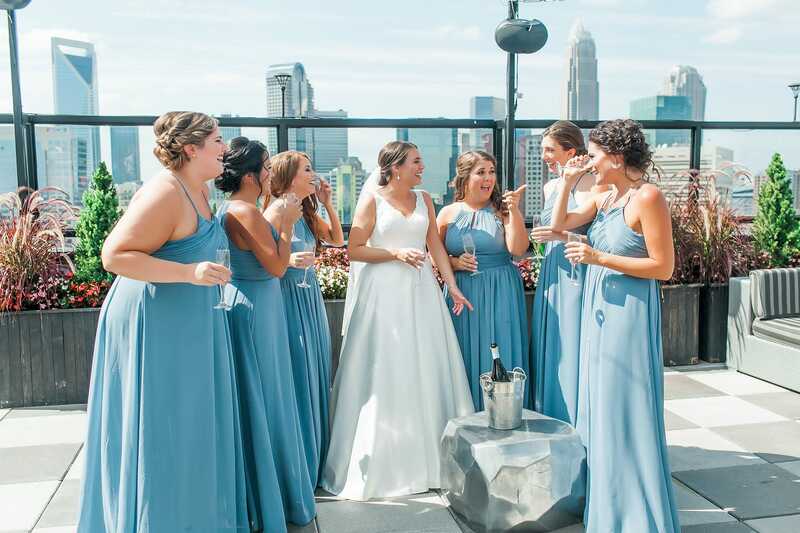 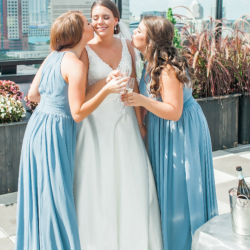 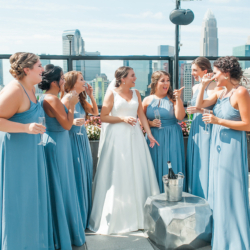 And her bridesmaid dresses were a gorgeous blue color! 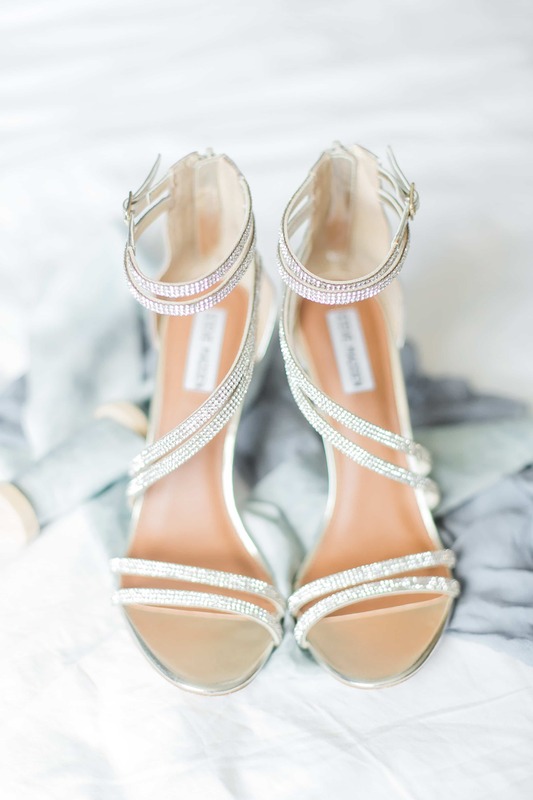 The girls wore gold shoes to stick with the theme. 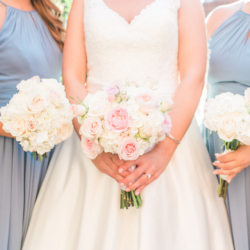 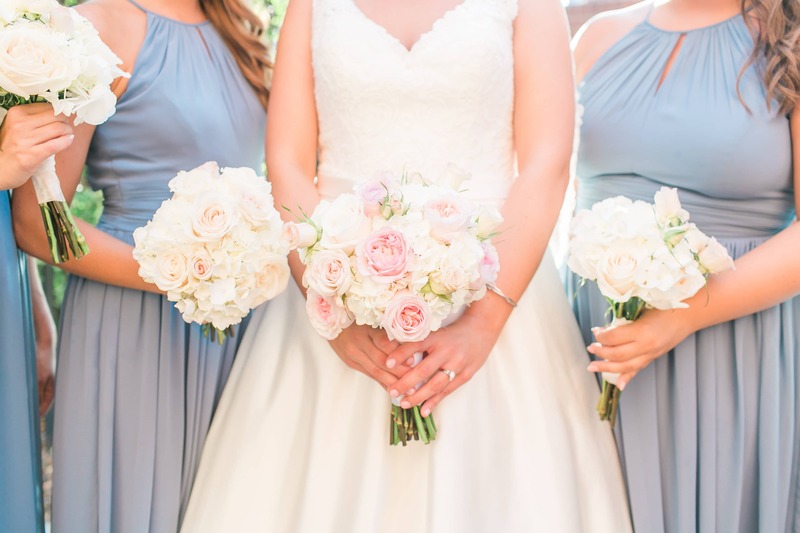 Emily used the same blush tones in her bouquet. 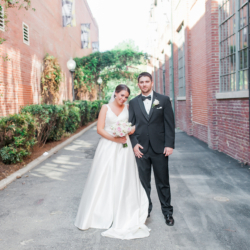 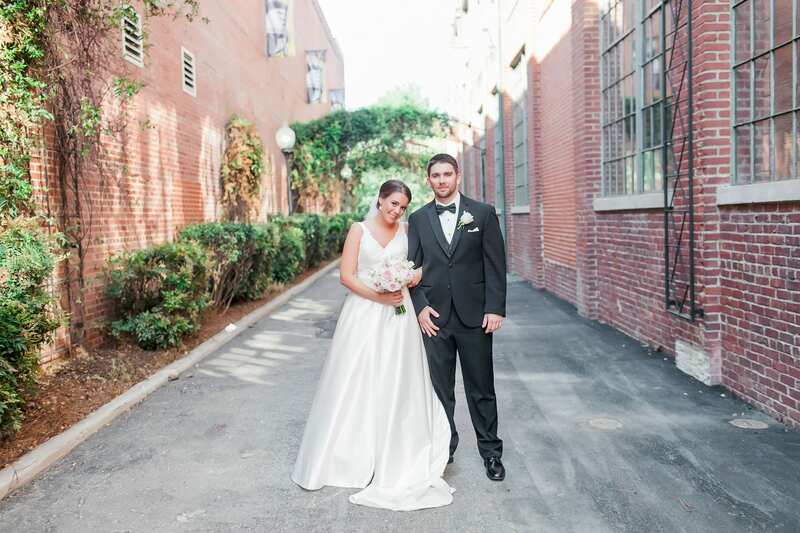 The alley beside Bryon’s provided a gorgeous backdrop for photos with the hanging greenery along the arches. 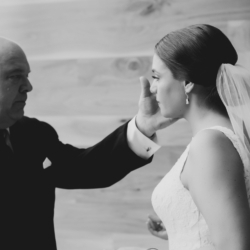 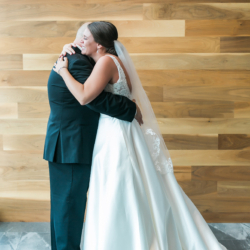 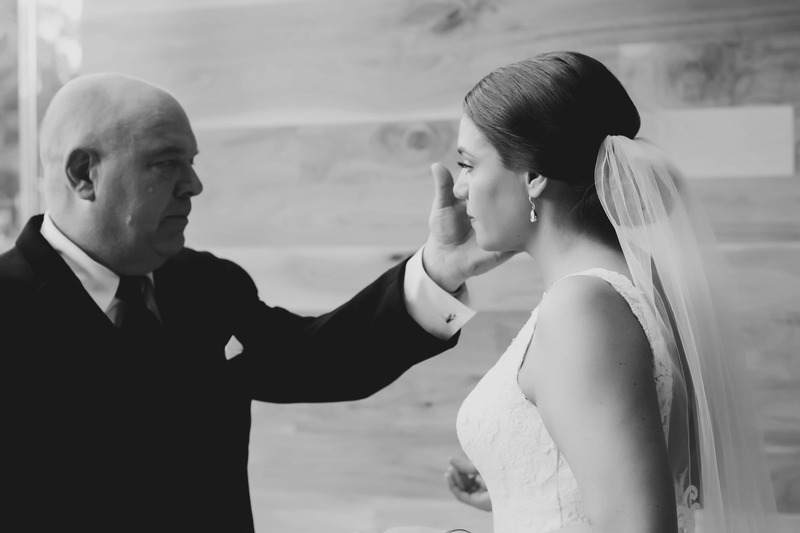 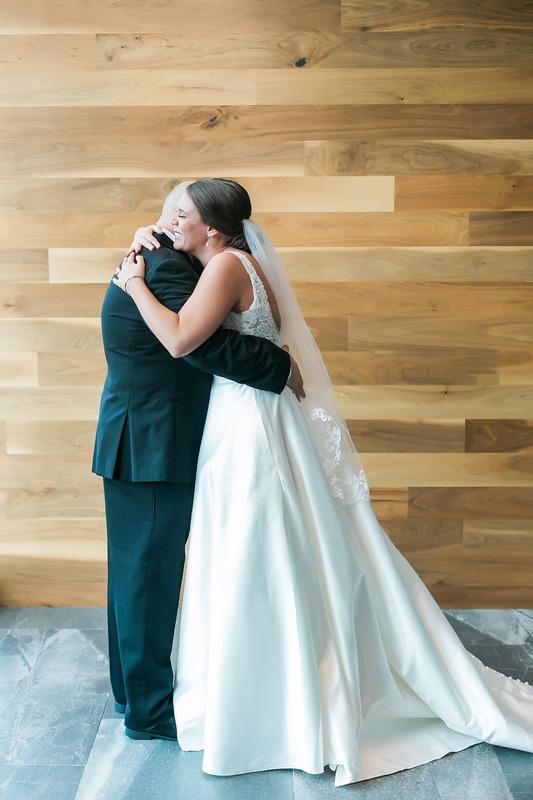 Emily and Zack’s families traveled from all over to be with them, and you could feel the love in the room. 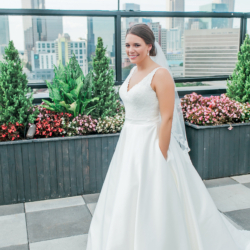 And check out Emily’s dress – it has pockets! 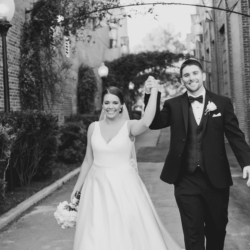 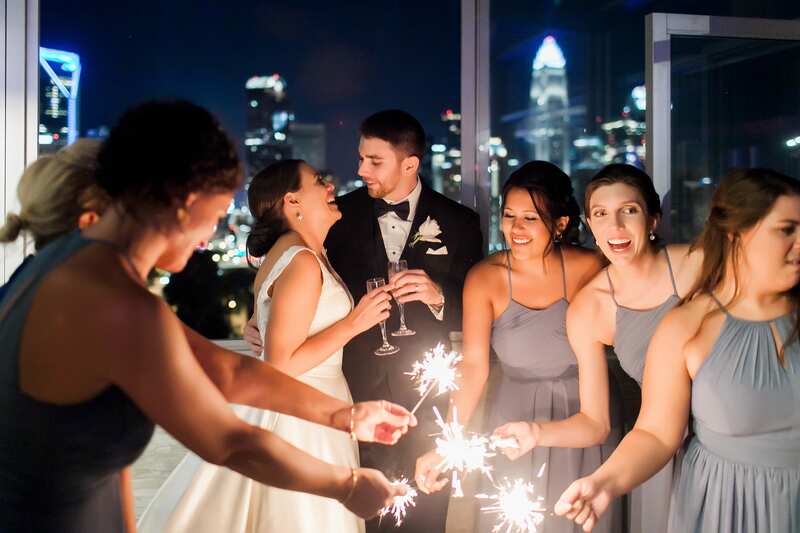 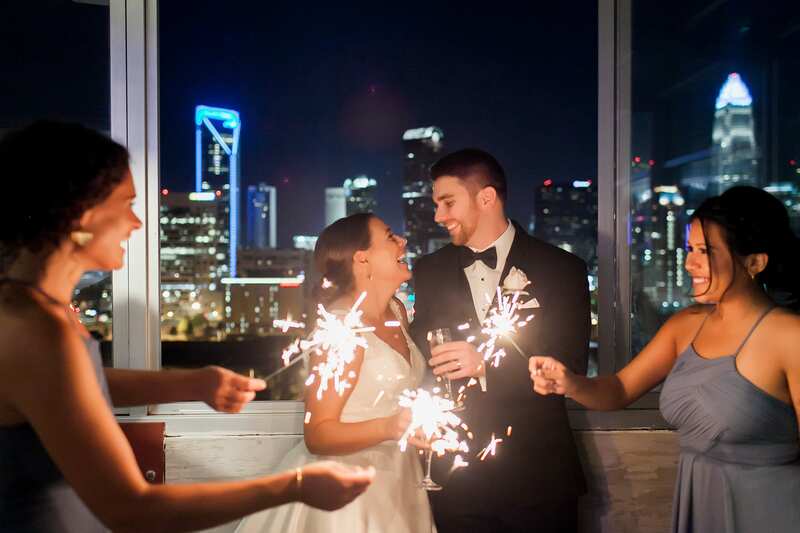 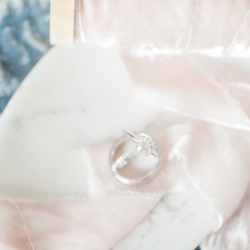 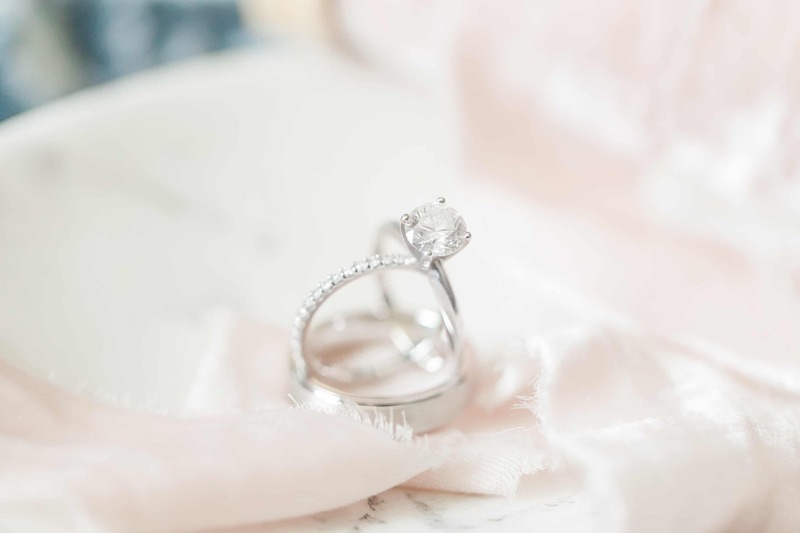 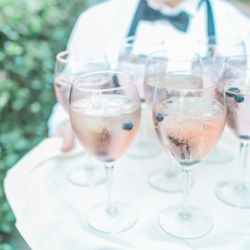 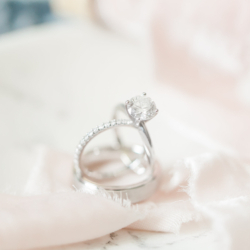 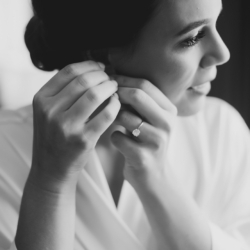 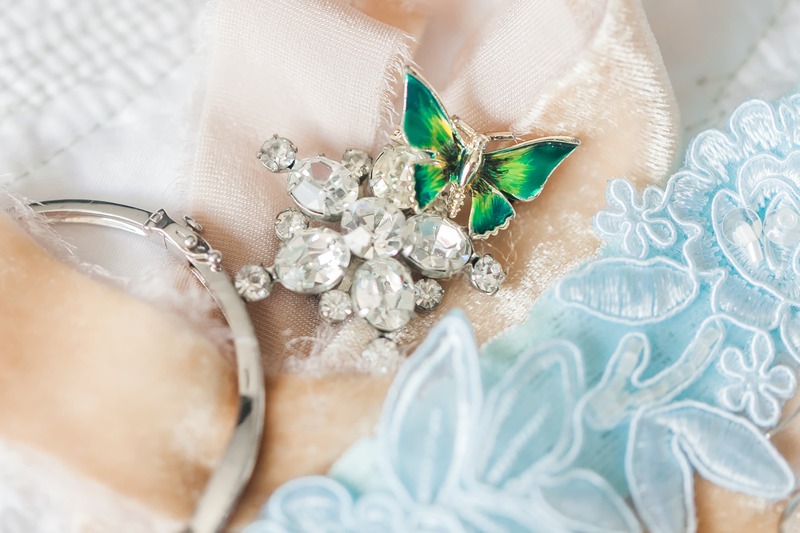 Emily and Zack met in college at the University of South Carolina, so this wedding has been in the works for a while (at least according to the toasts from their family and friends!). 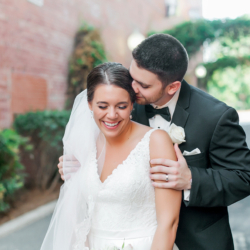 Emily works at Charlotte Radiology and Zack works for Bank of America. 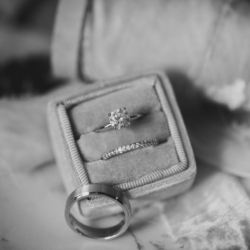 Zack proposed while they were visiting family over Mother’s Day right after he was done running a 5k. 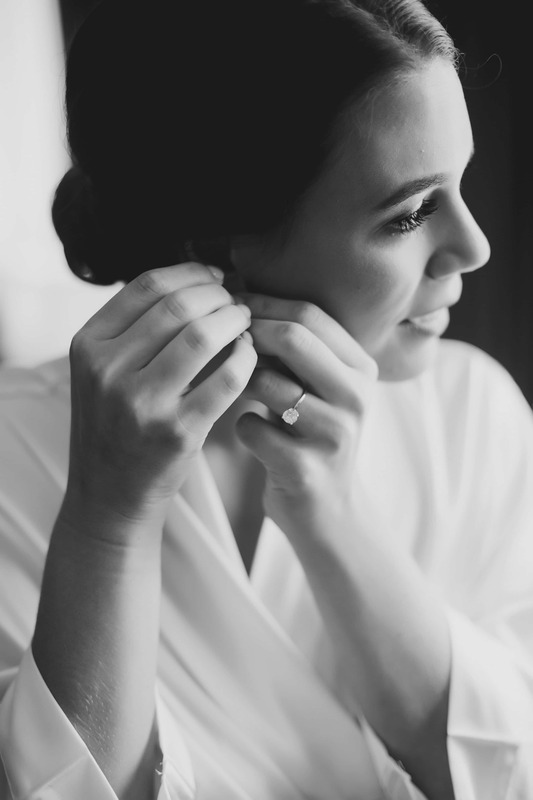 They have a super sweet black lab named Mia, who I was fortunate enough to get to meet! 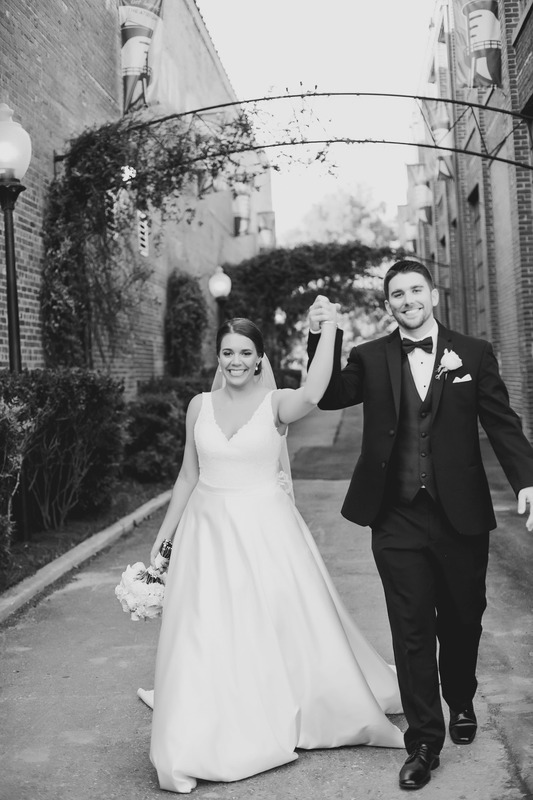 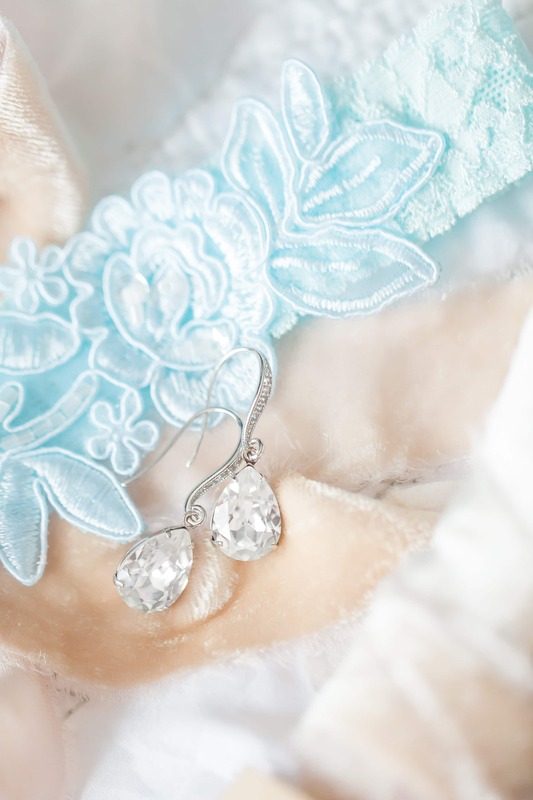 Emily and Zack, I wish you all the best for the future!